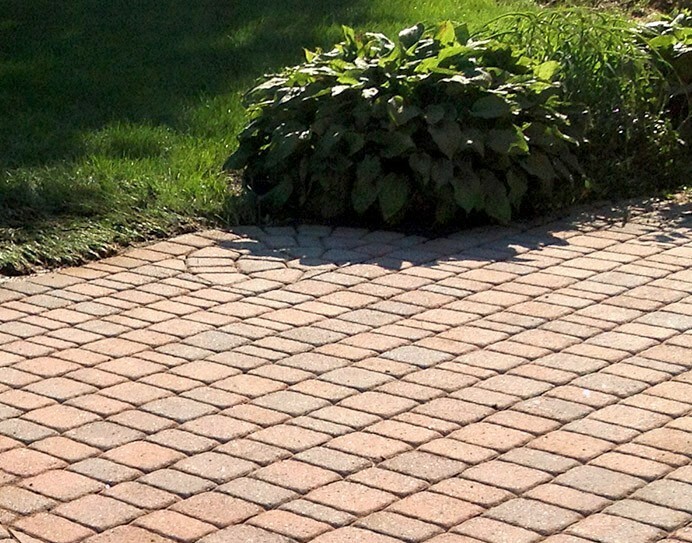 Exterior : Pavers : Sealer Types • Intex Surface Solutions ltd.
Natural look sealer preserves a natural look while effectively protecting your surface, reducing oil and dirt penetration – it will not darken pavers or enhance their colour. 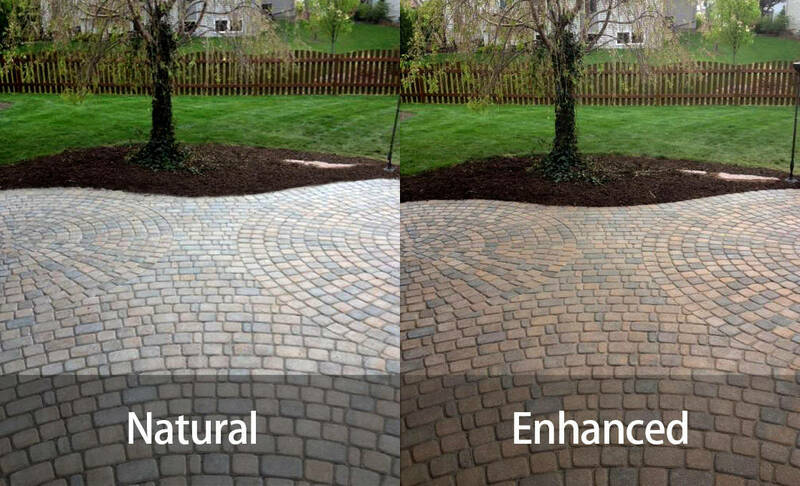 Natural look sealer is also not slippery when wet, making it ideal for driveways and pool surrounds. This protector darkens the surface and enhances its original colour, without leaving a film (coating) on the surface. 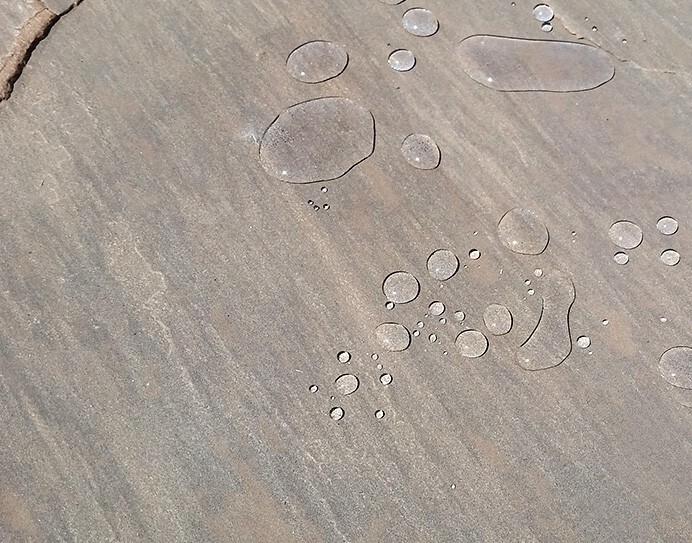 It provides a water- and oil-repellent matte finish, without making the surface slippery. 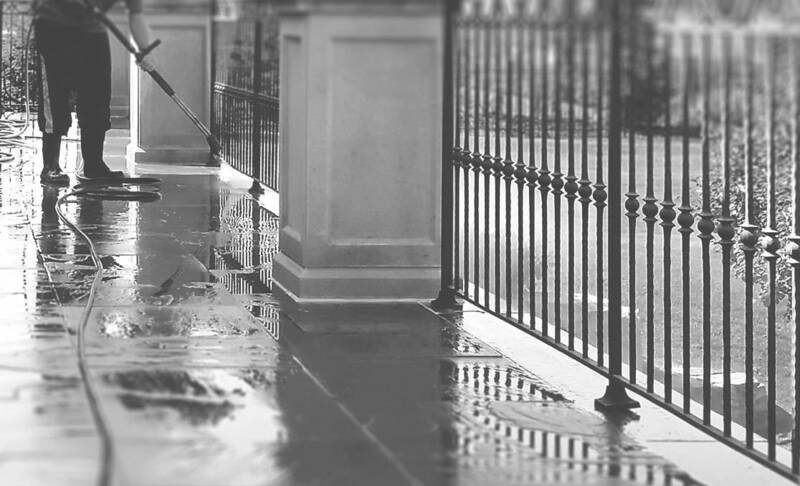 Our natural stone sealers penetrate deep into the substrate of the material, providing a clear, non-coating, protective finish. There are a variety of sealers available, depending on the porosity of the material. 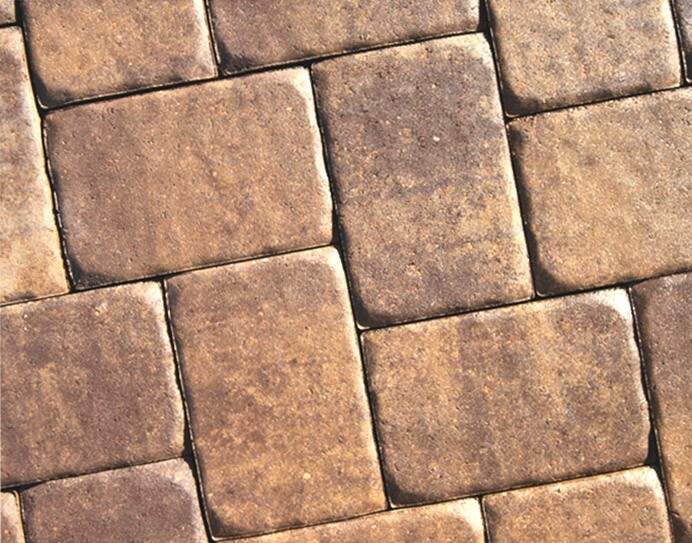 Colour enhancing sealers are also available for most types of exterior natural stone.